Cosmetic Planetary Mixer/Planetary Mixer/Planetary Mixer Vacuum Type is designed for mixing ointments, paste, wet mass, cream and dry powders. The rotation mixer uses gear transmission to drive two impellers rotating in the same directions, producing the interactive kneading, twisting and dispersing effects. Both impellers revolve around the mixing tank and bring the materials inside for complete mixing. The innovative vacuum design mixing helps to achieve homogeneously mixing results. 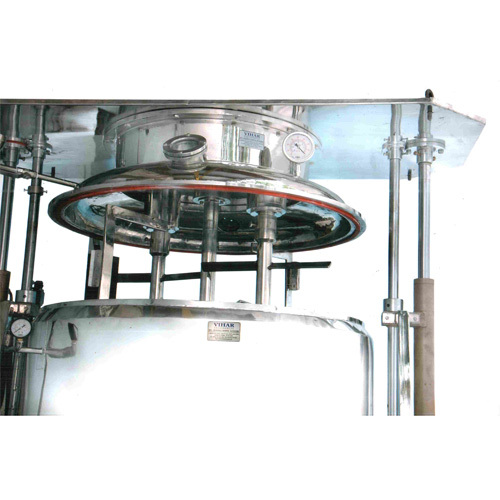 We specialize in manufacturing vacuum type planetary mixers for pharmaceutical, food, and fine chemical industries. The excellent deaeration system integrated into the mixers prevents the paste from becoming lumpy. Trouble free motor drive ensures the smooth and consistent performance of the mixers. Our range of planetary mixers can be customized to meet the specific mixing an blending requirement of the customers. 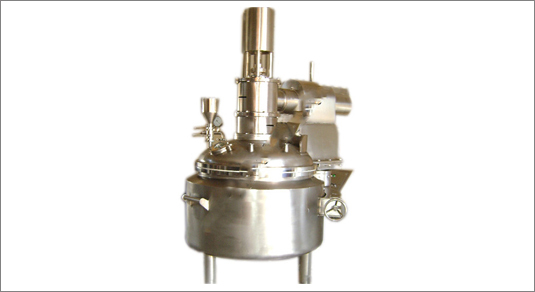 This Planetary Mixer Vacuum type With Jacketed Bowl is ideal for proper mixing of creams and lotions of different viscosities, densities and proportions. The mixer has a stainless steel bowl and beater that operates at high speed. The beater rotates inside the bowl in planetary motion for proper mixing. Manufactured using medical grades of steel, these bowls are precisely engineered, ensuring durability and reliability of these mixers. Easy process control is allowed with electrical control panel, which has back up fuses and indicator lamp. All contact parts are made out of SS 304 / SS 316 quality material. Product container mounted on mounting lugs or legs as required by customer. 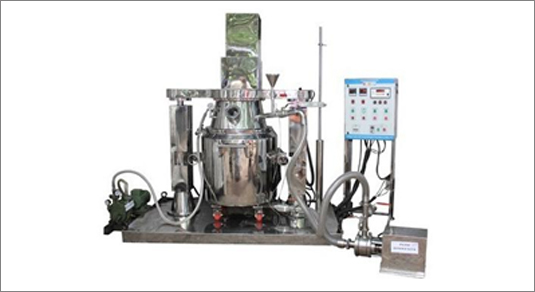 We deals in Jacketed Planetary mixer with Homogenizer and Planetary mixer for cosmetics. The Agitator is driven by motor 1500 RPM, 3PH, 415V, 50 HZ, AC motor & Gear Box. AC Frequency Drive is provided to control the stirrer RPM - Max RPM of Stirrer 50 RPM.